See? Not only did they have a saxophone player, but the crowd was totally into it and dancing. I have written about these guys before- and if you haven't paid attention to up to now, maybe you finally will- they are poised to explode onto the scene and because I love them so much, I am gifting you with the honor of hearing about them and loving them before everyone else finds out. Ok, maybe that's a tad dramatic, but really, I love them and want everyone else to hear them and love them as much as I do. There's always a story. Back in December at my old salon we had a holiday party and two guys performed. One was J Watts (who I will write about another time- you have to check out his stuff!) 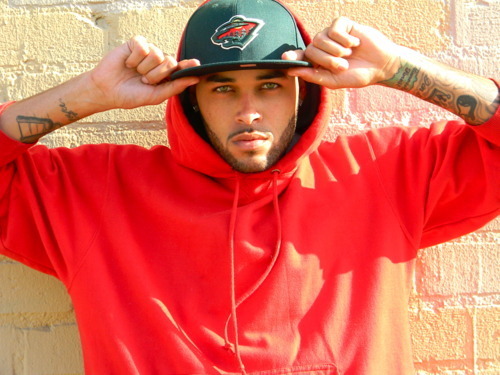 the other was Don Benjamin. I realize you may not know who he is (your loss, he's gorgeous) but in a few months you will because he is appearing on America's Next Top Model. Talk about talent- he models, sings, smiles... and he is a total gentleman. I procrastinated writing about him because of all of the craziness going on in my own life, but I know this is one of those things I'll be mad at myself for later if I don't do it, so finally, belatedly- introducing Don Benjamin. One of his songs is called "Real" and I really like it- I play it in my car a lot when I'm driving at night. It's smooth and I like listening to his voice. Watch the video here, and then thank me later when he blows up all over the place and you were already ahead of the game. Ahhhhhh been the craziest month for me- my deepest apologies for not updating as often as I used to but I have literally not stopped doing things since my last post. Not only am I a new aunt (we added a second niece to the posse!) but I also started a great new job at a fantastic spot in Beverly Hills.